Mention the name “Intel” and chances are what first comes to mind is “chipmaker.” But that’s changing fast, and the person facilitating the swift transformation of the company’s image is Steven Fund, who was named senior vice president and chief marketing officer at Intel in 2014. 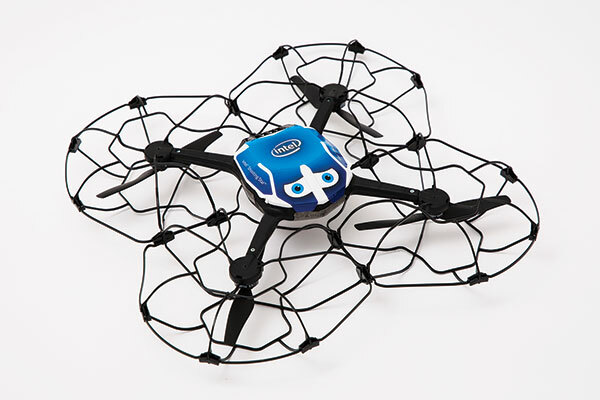 Fund has been something of a marketing wizard at the computer company, and today, the sky’s the limit, literally, as Intel has become synonymous with spectacular displays of drone technology. Maybe you saw the splashy light show behind Lady Gaga’s halftime performance at the 2016 Super Bowl. Three hundred of Intel’s “Shooting Star” drones were choreographed to form a mammoth American flag floating in the air. 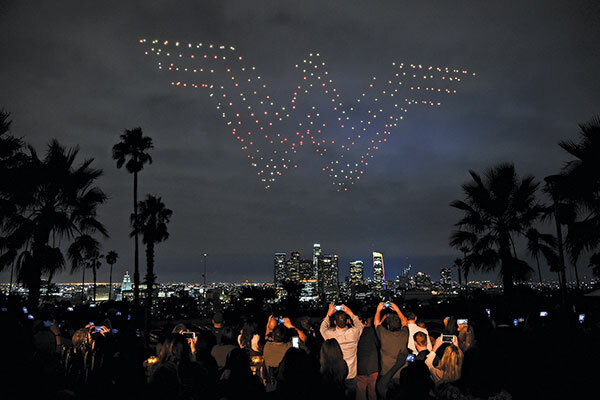 More recently, 300 of the company’s drones helped celebrate the launch of “Wonder Woman” by creating her insignia – along with other images from the movie – in lights over the city of Los Angeles. Drone spectacles – which promise to make fireworks obsolete – aren’t the only tool in Fund’s brand-boosting arsenal. 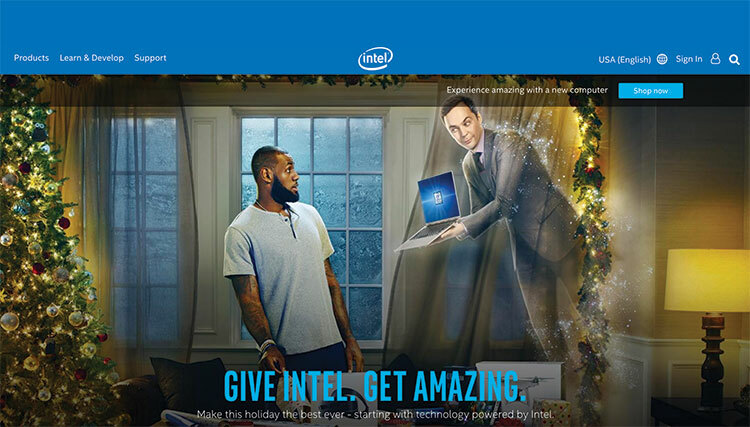 Under his direction, Intel has developed ad campaigns that rely on celebrities and are aimed at making Intel synonymous with youth, music, sports, and entertainment. The company’s impressive roster of celebrities includes Serena Williams, Jim Parsons, Michael Phelps, Tom Brady, and Lebron James. The ultimate goal of all of this refreshing new marketing – accompanied, of course, by impressive technological advances by Intel – is to flip the notion that Intel is just a chipmaker. A native of New York City, Fund majored in business at the University at Albany with a management information systems concentration. (MIS teaches students how to use information to improve a company’s operations.) “I started out with a technical background. It gave me a good foundation for the role I have today at Intel,” notes Fund. He got his first job – as a technical-support specialist at ABC Television Network – through UAlbany’s placement office. In that position, he helped the news division use PC-based systems to track expenses, equipment, and other operations. Fund also was keenly talented. 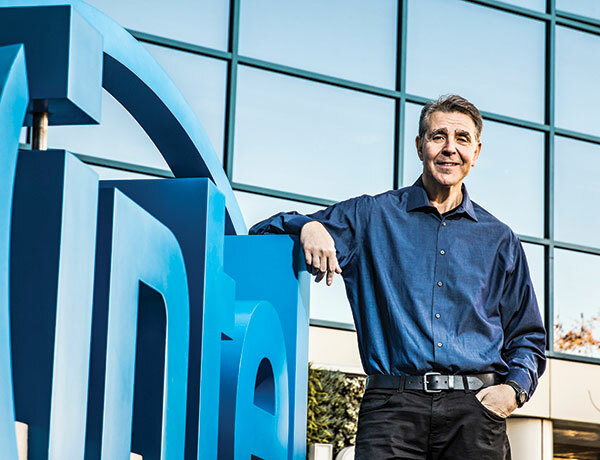 Before landing at Intel, he held a series of marketing and brand-management jobs at some of the world’s most prestigious companies, including PepsiCo, Procter & Gamble, and Staples. sales, which were $55.9 billion in 2014. Today, full-year sales total close to $62 billion. the total market value of the company, which was $128 billion three years ago. That figure exceeds $200 billion today. Fund, who supervises 500 employees directly and another 200 worldwide, has won numerous awards and accolades for his work. Each year, Ad Age, a marketing and advertising journal, names an “A list” of top-notch performers in marketing. Intel made the list in 2016. Other recognition includes the Global Marketer of the Year Award from PRWeek, an Adweek Brand Genius Award, and inclusion on Forbes’ “50 Most Influential CMOs in the World” list. What advice does Fund have for UAlbany students?